Or maybe it’s a boy! Or both! 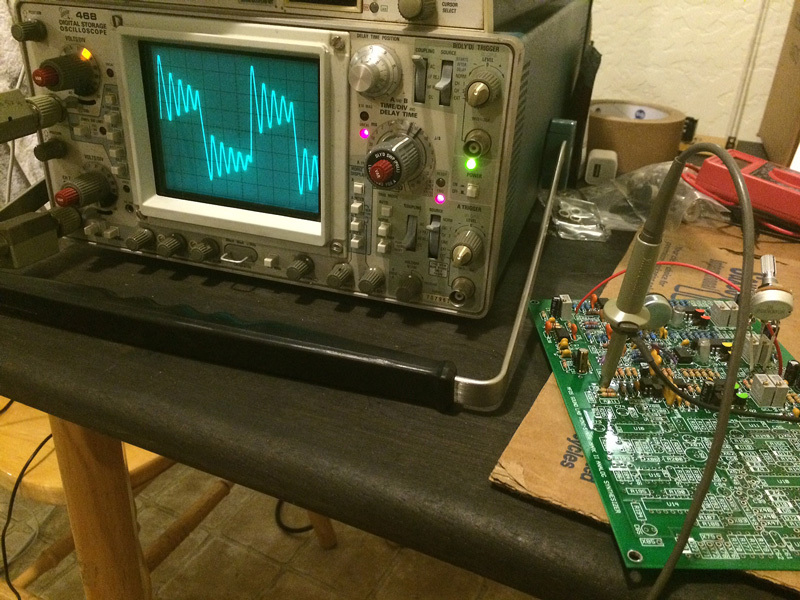 The oscilloscope confirms that the resonant filter through one of the VCO square waves is functioning properly. The board is for a Sound Labs Mark II analog monophonic synthesizer custom built by Charles Seeholzer exclusively for Carlos Grasso of Dumfuxx. Photo by Charles Seeholzer.